Here is an interesting problem to keep you busy. Transpose the address data in column A into the format indicated in C:G using either VBA, formulas or Power Query. Once done, post your answers in comments section. We all know about the MAX formula. But do you know about 3D Max? Lets say you are the sales analyst at ACME Inc. Your job involves drinking copious amounts of coffee, creating awesome reports & helping ACME Inc. beat competition. 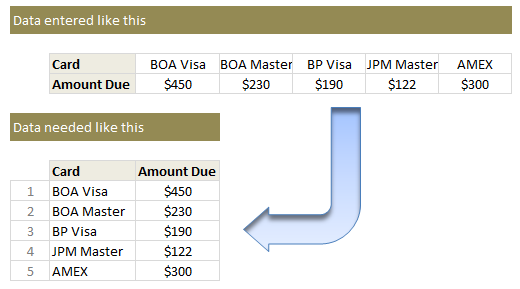 For one of the reports, you need to find out the maximum transactions by any customer across months. But there is a twist in the story. Your data is not in one sheet. It is in multiple sheets, one per month. 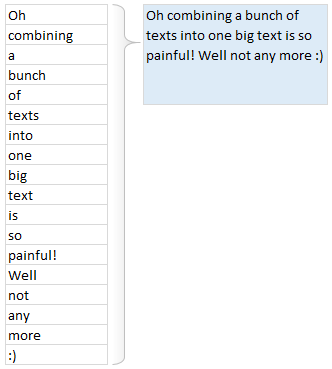 Ever wondered how to go from a bunch of cells with text to one big combined text? Like shown above. Well, there is a simple trick. One of our readers, Grant shared this with us. Read on to learn this. On Friday, we learned how to transpose a table of data using Excel formulas. Today lets learn a quicker & easier way to do this by just using copy, paste, find & replace. Starting this month I will announce one member of our little community as member of month. It is to honor the contribution they made. 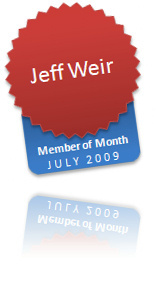 Jeff Weir is our member of month for July, 2009. He not only commented more than 40 times in the last month, but he even wrote a marvelous guest post on the chart busters series. 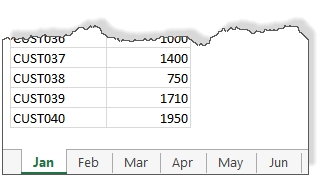 I have learned several valuable excel and charting tips from him in the past few weeks. I am sure some of have too. Thank you Jeff. 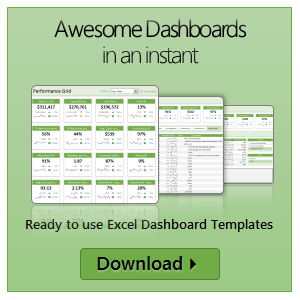 Also in the post we have some excel links worth checking.